Older Single Mum: Winter '13 - #OneWeek. There isn't a nicer woman in the blogging world than the lovely Sarah at Older Mum. She's been a mate right from the outset of my blogging journey and is also one to many others too. She loves to write and support other writers, she's already commented on any blog I get to comment on and is particularly present on those starting out on their foray into this world. 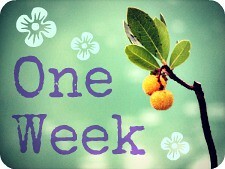 Every quarter, each day for one week ('#OneWeek'), she hosts an appreciation of the current season. Anyone can join in with anything they fancy whatsoever that they feel is relevant. There'll be stunning photographs and perhaps posts with a poem or two, but pure beauty will abound, that much is guaranteed. My Winter contribution will be comparatively amateur, but here it is anyhow! Rosemary as you've never seen her. He's not backwards in coming forwards, this one. Brighton Marina - only not so bright today. Sun and sea spray today - a perfect winter storm. well said, regarding Sarah and her lovely blog.I love the sea spray picture and Rosemary really is truly hardy! It doesn't matter how cold the day, the sea still manages to draw you in. Lovely photographs. 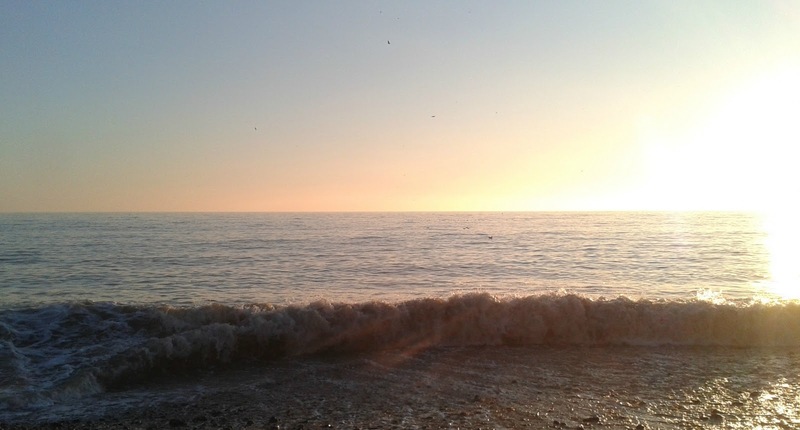 Particularly like your two photos of the blue sunny sky and crashing sea - I always find that combination very inspiring. Doesn't matter how cold it is, so long as it's dry and there is plenty of light. 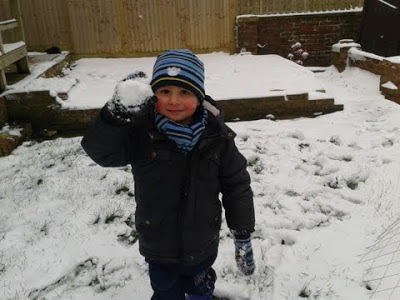 Must get down to Brighton with the Little Man when the weather warms slightly - fancy a meet up and a coffee? Great! Soon as we don't need thermals, we'll be down! Oh Anya - you lovely lady, AND FRIEND, you - *sniff* what a lovely thing to say! And what are you talking about - amateur photos? They are great! 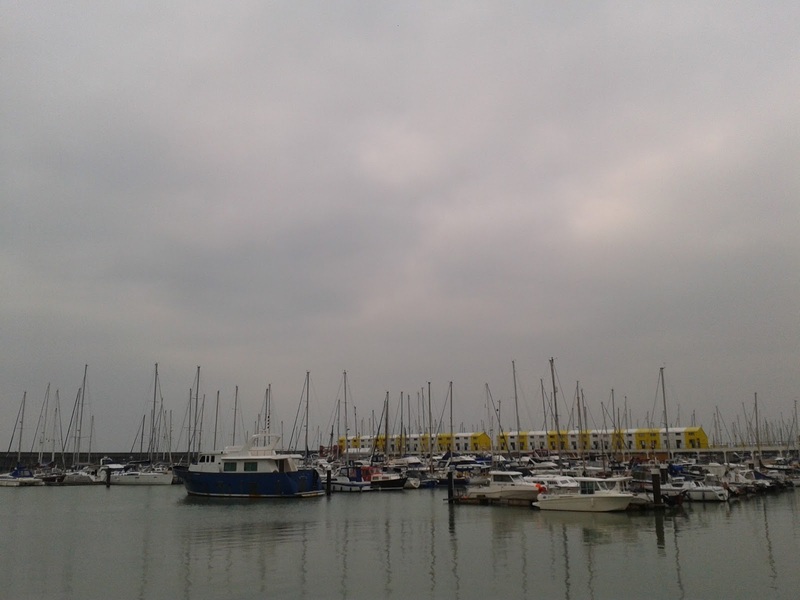 Really liked the one of Brighton Marina - it looks so calm! 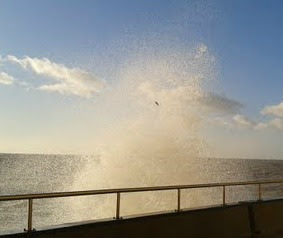 X.
the sea spray picture is amazing! Thank you - I kept missing the shot because of the digital delay - this was a bit of luck! What beautiful pictures and what a lovely idea for a meme. I agree with you about Older Mum. Yes, I'm in agreement too about older mum! I love the photos but would not call them amateur, I love the tree (but then I would) and the spray, both great pics and so evocative. That's nice to know and you're too kind re my pics, thank you! These are lovely photos. 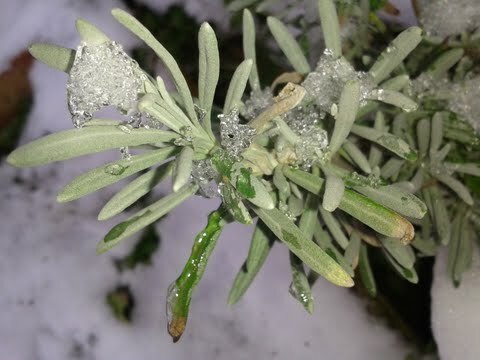 It almost looks like the rosemary had diamonds dripping off it. Curious as to where that snow ball ended up. It looks like it's coming straight for you. P.S. Agree wholeheartedly with your comments about Older Mum. She's fantastic. Absolutely very true comments about Sarah, she really does give so much encouragement and support to everyone and her writing is wonderful and unique. Your pictures are amazing, nothing amatuerish about those. They capture winter perfectly and I can almost feel the spray from those waves. 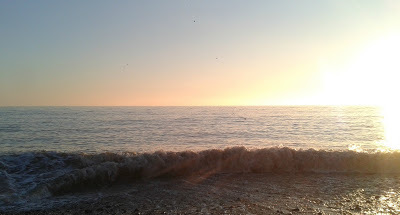 I love the picture of the sea with all the spray. And your gorgeous boy too, he looks so like you I think ;0). The sea and spray photo is my fave, that and the rosemary. You've captured exactly how it is just now, shivery with a hint of sun! Oh gorgeous photos that capture the season. I love the sun and spray. Thank you so much - it's not as good the real thing - just had to guess! It's your sense of humour I love about you the most! ;) Kind words, though, thank you! Thank you. That's a nice idea, but I find it quite tricky really!